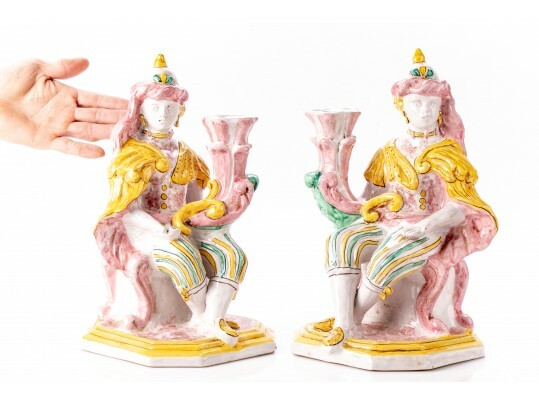 Pair of glazed candleholders with two figures holding an elongated trumpet form flower bobeche, the figure seated atop a pink bench and resting on a yellow tiered plinth base. Marked on verso N. D. Dolfi, Montelupo, Italy. Also impressed.